Much of the problem America has with Iran flows from the perception that we have created over the years by portraying Iran as being a larger than life boogeyman that threatens our very way of life and existence. 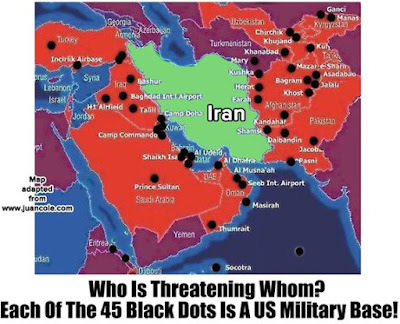 Remember Iran was elevated to this level when President George W. Bush used the term "Axis Of Evil" in his State of the Union Address in 2002, not only did he include Iran as being a member, but he often repeated it throughout his presidency. A big issue with me is that Washington and the politicians who reside there have lied and misled us so often it is difficult to believe them when it comes to such an important matter as this. I'm dubious of anything coming out of Washington because the government is very attuned and highly geared to serve the agendas of special interest that place lining their pockets above the common good. When it comes to Iran's official stance towards America anyone saying that Iran has good reason not to trust the American government is making an understatement. America through its foreign policy has wreaked havoc upon many countries, but few societies have been affected or suffered from our meddling as much as Iran. A neutral source without an agenda, in this case, would be Wikipedia, and a quick read of the history of Iran post-World War II shows America has constantly interfered in their internal politics. In 1953 the British M16 and the American CIA organized a military coup d'etat to oust the nationalist and democratically elected Prime Minister and form a government that allowed the country to be firmly ruled by Mohammad-Reza Shah Pahlavi, the man we all know as the Shah of Iran, in Persian Shah means king. Under the idea that America must get along with Iran one way or another it is only fair to call attention to some very damning declassified documents released recently that shed light on the Central Intelligence Agency’s central role in the 1953 coup that brought down Iranian Prime Minister Muhammad Mossadegh. This eventually fueling a surge of nationalism which culminated in the 1979 Iranian Revolution and has poisoned the relationship between the U.S.and Iran. The approximately 1,000 pages of documents reveal for the first time the details of how the CIA attempted to call off the failing coup but it went forward because of an insubordinate spy on the ground. The documents conflict with the U.S government's long denied involvement in the coup. The State Department first released coup-related documents in 1989 but edited out any reference to CIA involvement. Public outrage coaxed a government promise to release a more complete edition, and some material came out in 2013. Two years later, the full installment of declassified material was scheduled but the release was delayed fearing it might interfere with the Iran nuclear talks that were taking place. Now they have finally been released, it should be noted they are not complete because numerous original CIA telegrams from that period are known to have disappeared or were destroyed long ago. What is clear and finally brought to light is the CIA plot known as Operation Ajax, was about oil. In early 1951, amid great popular acclaim, Mossadegh nationalized Iran’s oil industry. A fuming Great Britain began conspiring with U.S. intelligence services to overthrow Mossadegh and restore the monarchy under the Shah. While some of the U.S. State Department, the newly-released cables show, blamed British intransigence for the tensions and sought to work with Mossadegh plans were made for a coup. The coup attempt began on August 15th but was swiftly thwarted. Mossadegh made dozens of arrests. General Fazlollah Zahedi, a top conspirator, went into hiding, and the Shah fled the country. At that point according to a newly declassified cable sent on August 18, 1953, the CIA under the impression the coup had failed decided to end their role. The message read, “Operations against Mossadegh should be discontinued.” Part of the logic to bury this then bury the shovel was obvious when they wrote, “Operation has been tried and failed and we should not participate in any operation against Mossadegh which could be traced back to U.S.” The cable which Kermit Roosevelt, top CIA officer in Iran, purportedly and famously ignored, according to Malcolm Byrne, who directs the U.S.-Iran Relations Project at the National Security Archive at George Washington University. Byrne told Foreign Policy, “One guy was in the room with Kermit Roosevelt when he got this cable,” and “[Roosevelt] said no – we’re not done here.” It was already known that Roosevelt had not carried out an order from Langley but the cable itself and its contents were kept secret. What unfolded next is pivotal, on August 19, 1953, with the aid of “rented” crowds widely believed to have been arranged with CIA assistance, the coup succeeded and Iran’s nationalist hero jailed. The monarchy quickly restored under the Western friendly Shah. The existence and extent of Operation Ajax have long been a major point of contention for many Iranians from which the flames of anti-Western sentiment have grown, in 1979 they resulted in the U.S. hostage crisis, the Shah being overthrown and the creation of the Islamic Republic. Our current agreement with Iran was reached as an alternative to the unsavory option of taking military action to halt Iran from developing a nuclear bomb. History shows war to be a pathetic option to bring about positive change, war brings about change but to what degree and for how long. 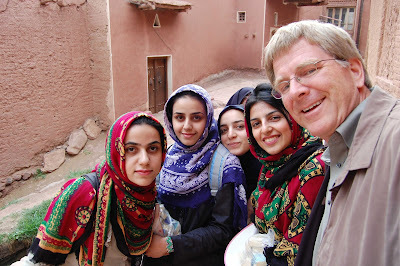 In truth, few Americans know much about Iran or its 78 million inhabitants or have ever visited the country. Many people would have difficulty pinpointing its location on an unmarked map and the chief source of what knowledge they do have is usually from the evening news. The official name of the country is the Islamic Republic of Iran and it is an area that history called Persia with Persian being the official language and the rial is its currency. Iran's unique political system based on its 1979 constitution combines elements of a parliamentary democracy with a theocracy governed by the country's clergy. The country is made up of several ethnic and linguistic groups but most inhabitants are officially Shia. In the spring of 1979 a new government was formed and over the next several years uprisings were subdued in a violent manner as the new government went about purging itself of the non-Islamist political opposition that had joined with them to overthrow the Shah, tens of thousands were eventually executed by the Islamic regime. A part of history that lingers strongly in the minds of many Americans is that in November 1979, a group of Iranian students seized the U.S. embassy taking 52 U.S. citizens and embassy personnel hostage after the U.S. refused to return the former Shah to Iran to face trial and execution. The hostages were finally set free on Jimmy Carter's final day in office, but many Americans continue to view this as a slap in the face. 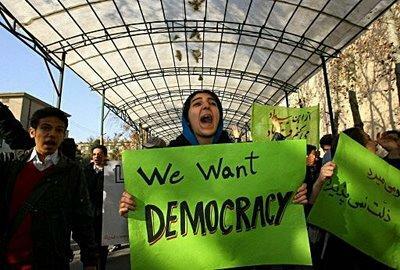 A serious bone of contention among Iranians is what happened next. On September 22, 1980, the Iraqi army invaded Iranian Khuzestan this signaled the start of the Iran–Iraq War. 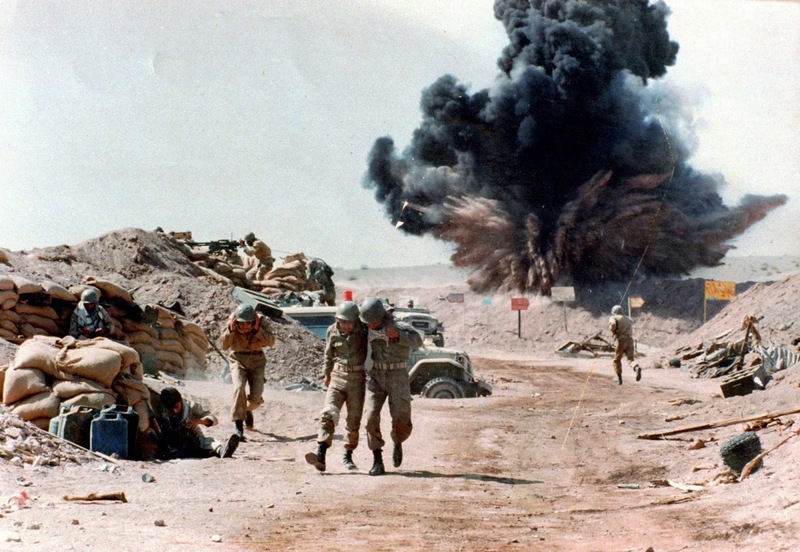 Although Saddam Hussein's forces made several early advances, by mid-1982 the Iranian forces successfully managed to drive the Iraqi army back into Iraq and Iran made the decision to invade Iraq in a bid to conquer Iraqi territory. The war continued until 1988 when the Iraqi army defeated the Iranian forces inside Iraq and pushed the remaining Iranian troops back across the border. It is clear the United States, alongside regional and international powers, supported Iraq and Saddam Hussein with loans, military equipment, and satellite imagery during Iraqi attacks against Iranian targets. Subsequently, Khomeini accepted a truce mediated by the UN, but the war cost Iran many lives and huge economic damage, half a million Iraqi and Iranian soldiers, with an equivalent number of civilians, are believed to have died, with many more injured. It must be noted that during the conflict America and the international community remained silent as Iraq used chemical weapons of mass destruction against Iran as well as the Kurds in northern Iraq. John Kerry a key player in crafting our current agreement with Iran has stressed that if Iran fails to meet the requirements of the current deal, all options remain on the table. Sadly armed conflict tends to be a Pandora's box rather than an easy answer to our problems. We must defend ourselves, but the fact is mothers value their children just as the peasant in a rice patty field values his ox, neither want to see them killed in a war. If we look at every war ever fought we will find that most of the people affected by the violence only wanted to be left alone. It seems the first casualty of war is truth and governments often go to enormous lengths to persuade people to go to war using the tools of patriotic seduction, propaganda, and coercion. Governments convince and mobilize the people by painting a picture of an evil enemy that must be stopped. This means a lack of knowledge does not bode well for society when it comes to our ability to foster intelligent government. The term "need to know" should be revisited and changed to "we all need to know as much as possible". With this in mind, we should not give the Obama administration too much credit for bringing us a great or even good agreement. Remember that during the Obama years many people considered foreign policy a mess as he flip flopped ignoring even the red lines he boldly drew in the sand. When Kerry talked about offsetting the boatload of money Iran was to receive when the sanctions were lifted by "upping our game in the area" questions arise as to the cost and how Washington intends to pay for this next gambit. Even a part of the one hundred and fifty billion dollars Iran received can go a long way toward funding the many proxy wars being fought in the area. While officials say this international agreement will halt much of Iran’s nuclear program and ratchet back other elements of it several U.S. senators, both Democrat and Republican, have voiced displeasure with the parameters of the agreement, arguing that the U.S. and its partners are offering too much for something short of a full freeze on uranium enrichment. Those who are skeptical and view this as a weak agreement say Obama backed down again. President Obama noted the qualms of Israel, Saudi Arabia and other Persian Gulf allies of the United States and that they are skeptical of Iran’s intentions. An interesting thought to consider is Iran held more cards than we were told at the time because ISIS was a growing threat. In many ways when the agreement was reached Iran held the fate of Baghdad in their hands. If the Shia militias from Iran that were defending Baghdad wavered both the Iraqi capital and the American Green Zone could have come under fire from ISIS, this would have been very embarrassing for Obama and our government. For the world, the bottom-line remains that if Iran does not halt and reverse its course any agreement means nothing. Iran can always ramp up its plans to develop a nuclear bomb at off-site locations. The fact is if current trends continue in the future Iran looks to face a defanged and economically weakened America with less power in the region. Regardless the fact remains that one way or the other we must deal with Iran and war is not a great option.